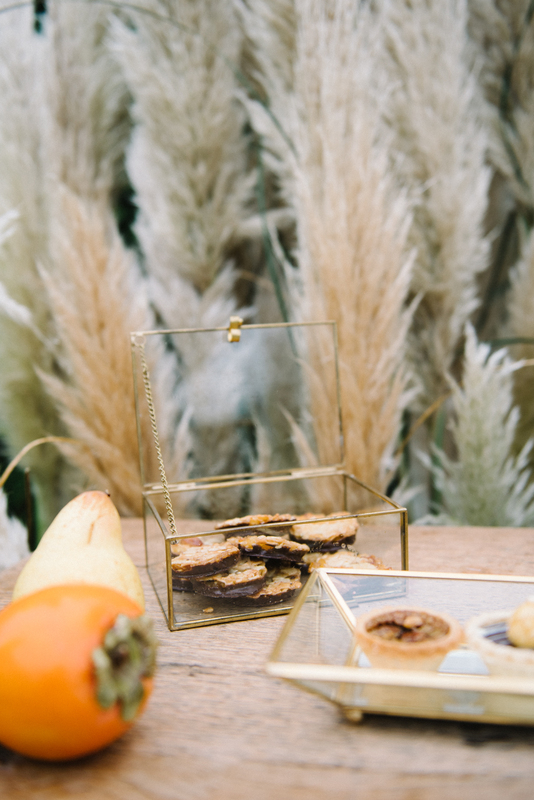 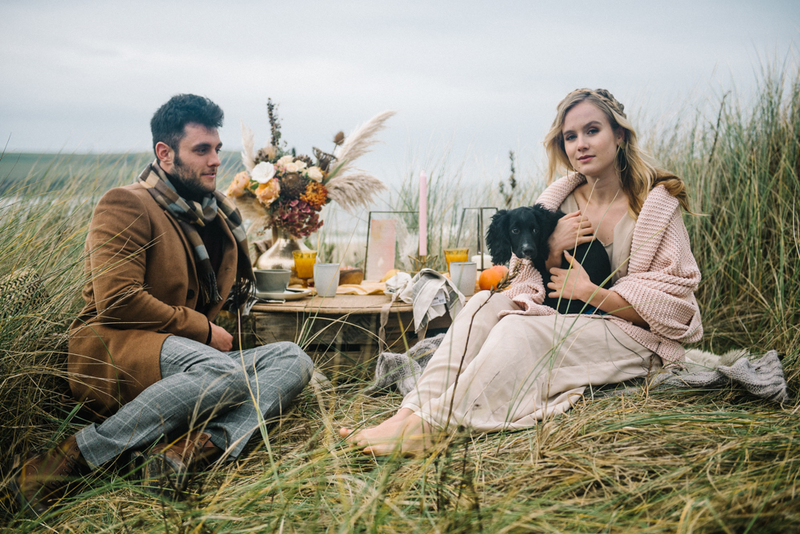 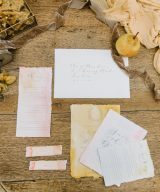 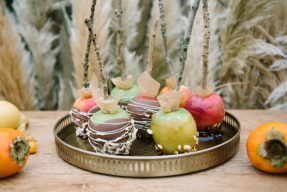 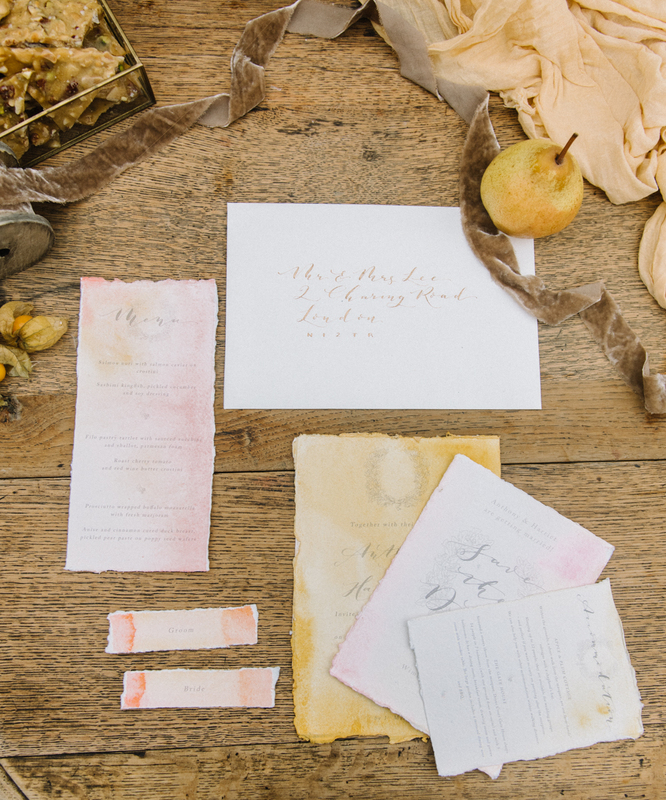 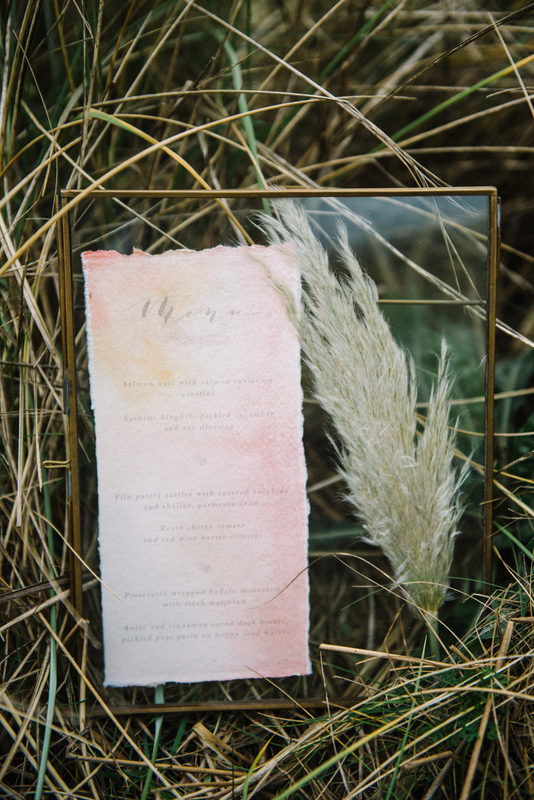 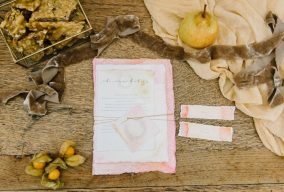 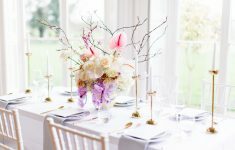 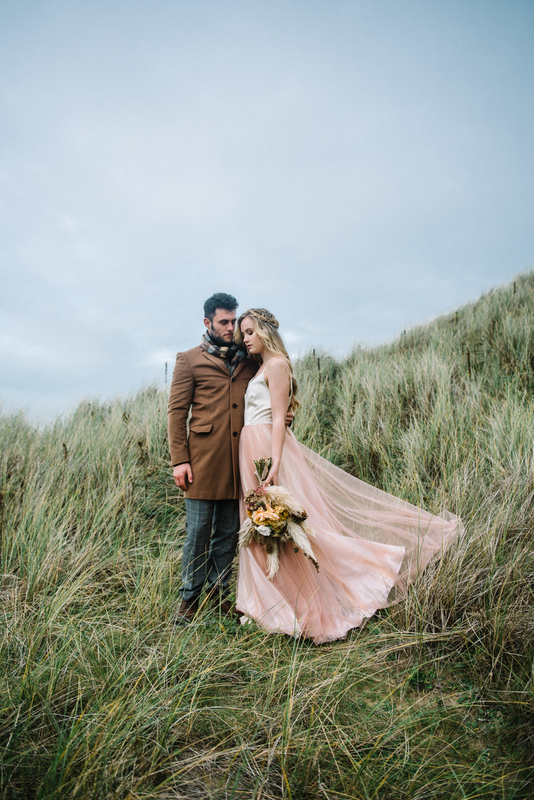 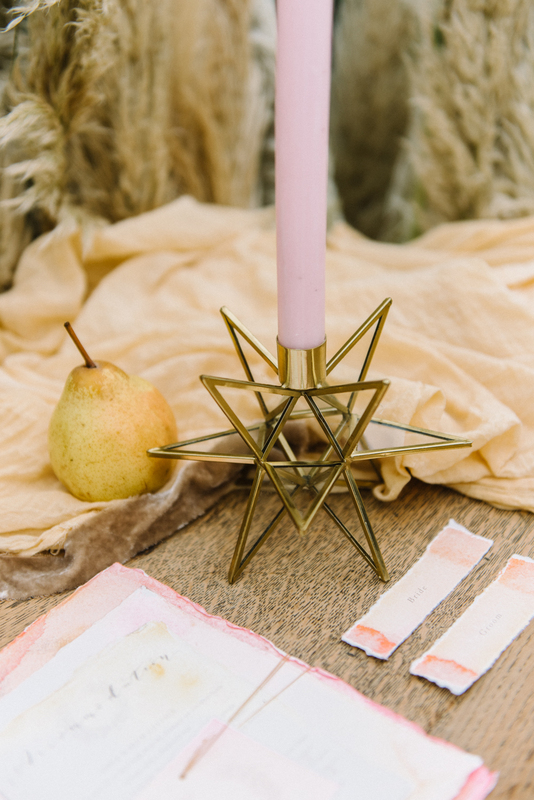 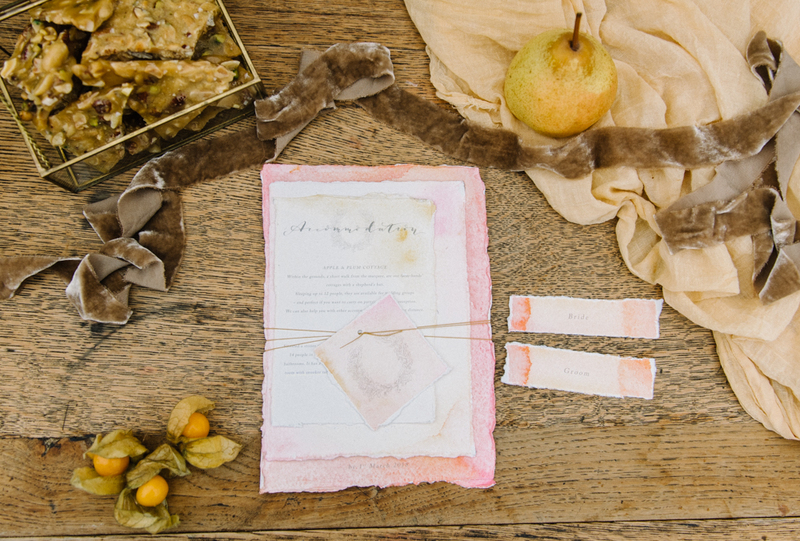 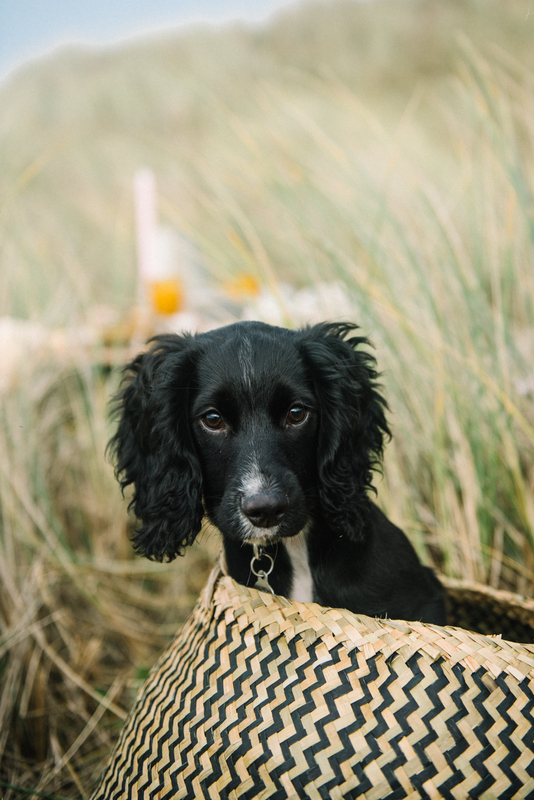 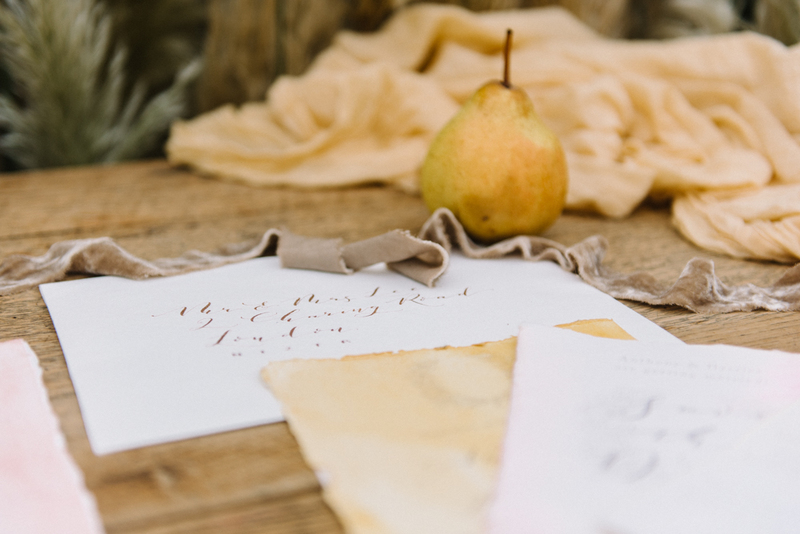 The Artful Event Co shares her vision for a beautiful Autumnal wedding in the countryside, filled with colours and details that embrace this season wonderfully in a stylish, modern way. 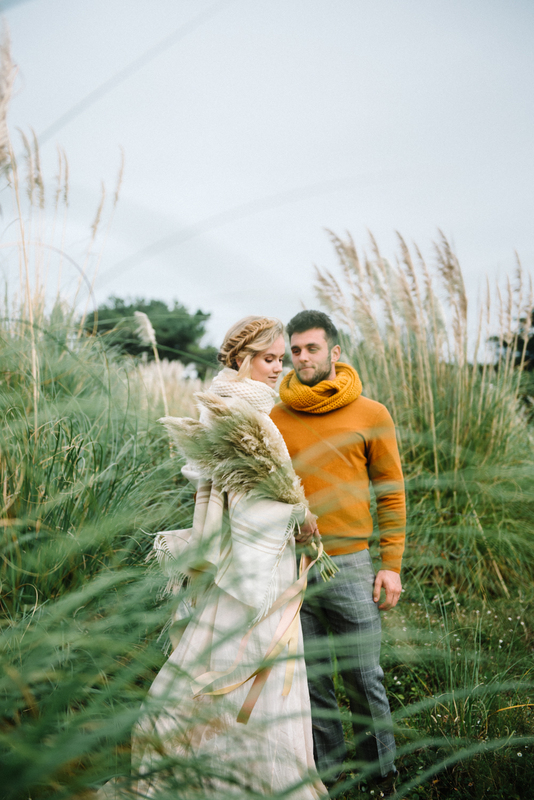 Captured by Olivia Bossert Photography. 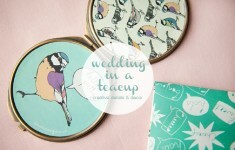 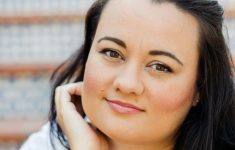 “As an Event Designer and Stylist, I look for inspiration everywhere! 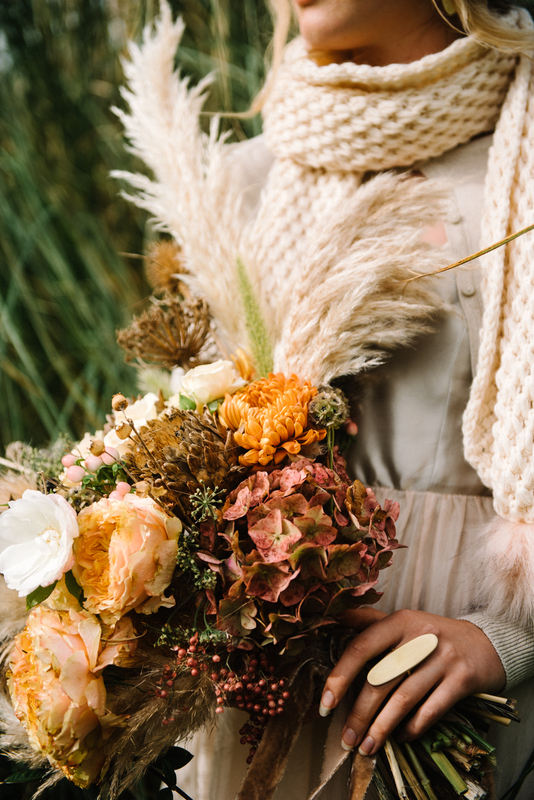 When I am designing for a couple lots of elements will affect the overall look and style of the day. 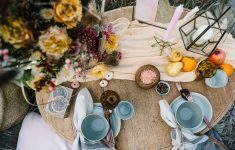 Their loves and personality will always be the main influence, but other factors such as the location of their wedding, and the season will also have an effect on the creative process. I love Autumn and Spring, and I just adore the beauty that the deserted coast has in the seasons either side of summer. 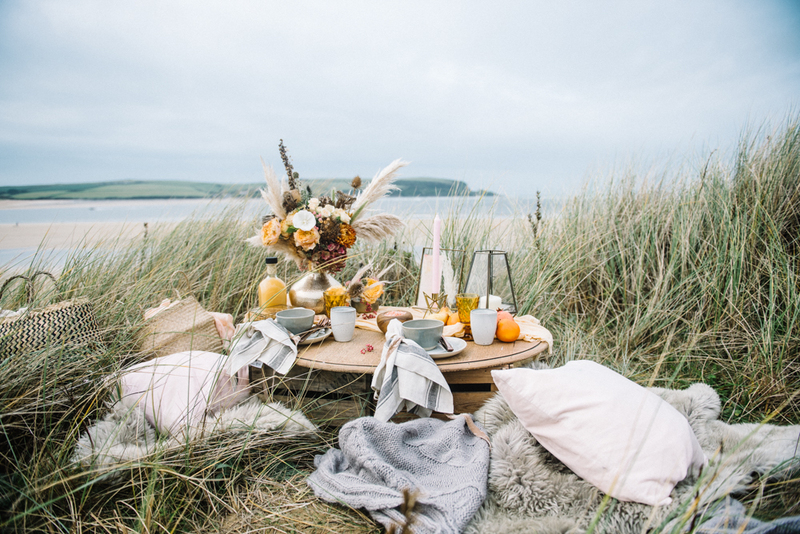 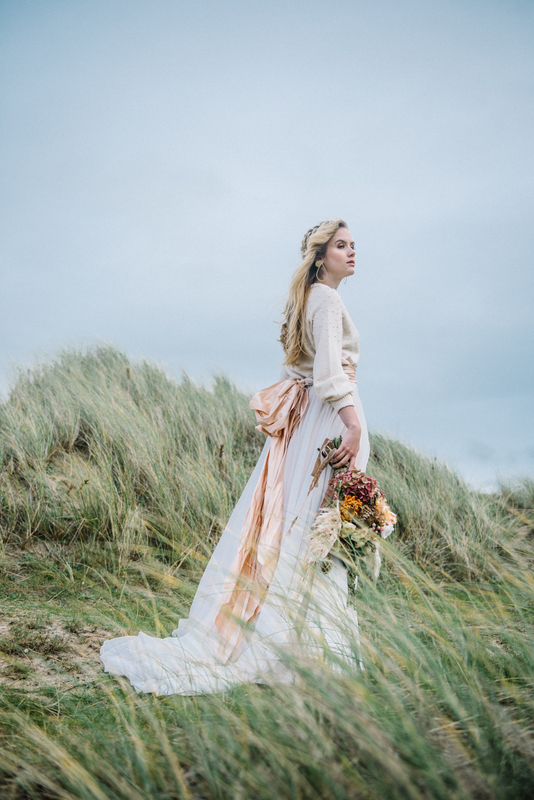 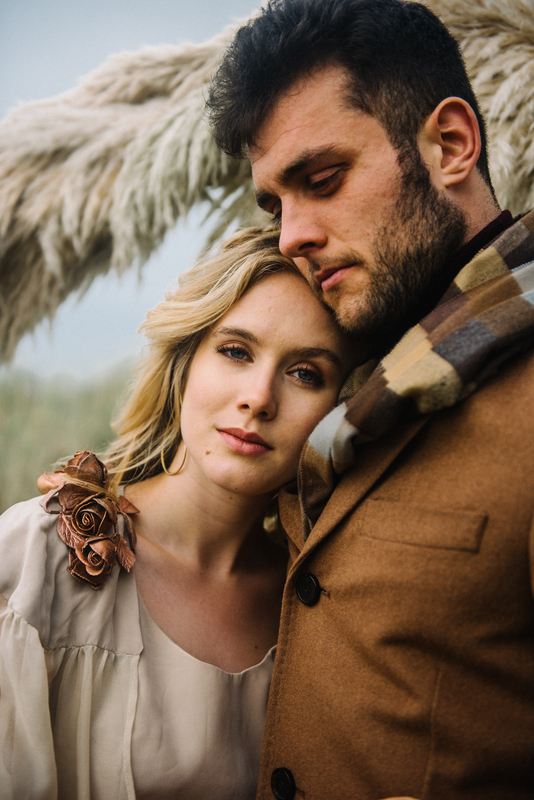 I frequently find that couples choosing to get married in the Autumn or Spring or even those planning a winter wedding often find it more difficult to come up with ideas for styling the look of their day than those planning a summer wedding, so that’s why I designed this inspirational shoot! 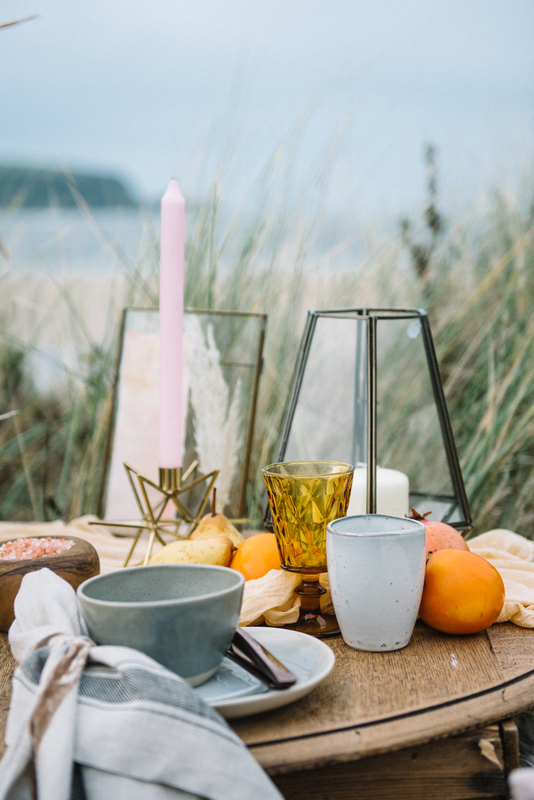 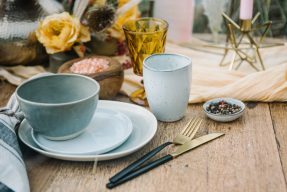 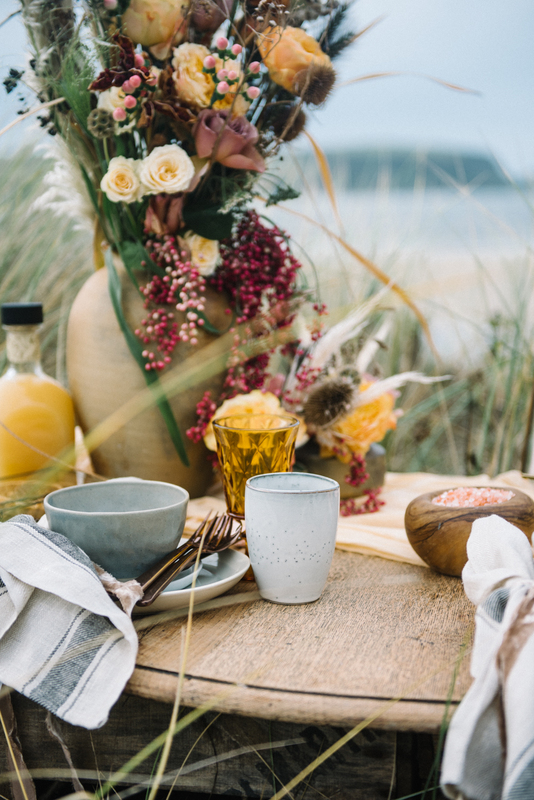 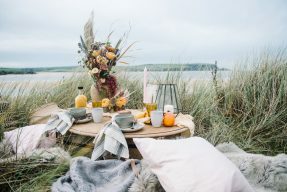 So if you are planning a wedding outside of the summer months why don’t you – think about the Danish concept of Hygge – or even the Swedish tradition of Mys it’s all about getting cosy!!! 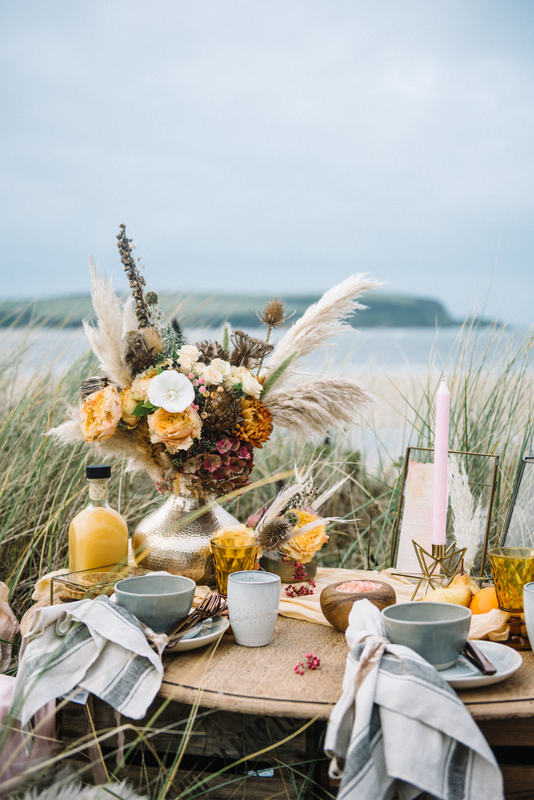 Here we have really tried to focus on creating those feelings of relaxed cosy warmth, using the golden glow of an early evening as the basis for our colour pallet. 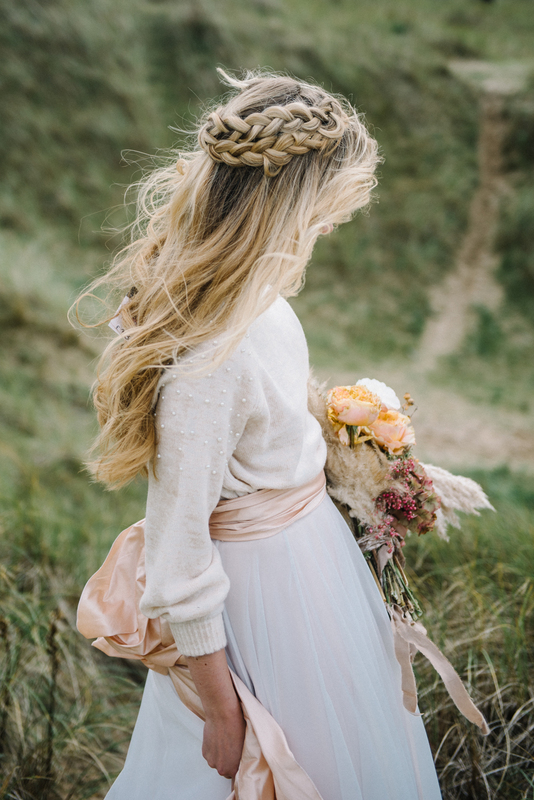 Think golden tones, hazelnut, latte and toffee colours along dusky pinks. 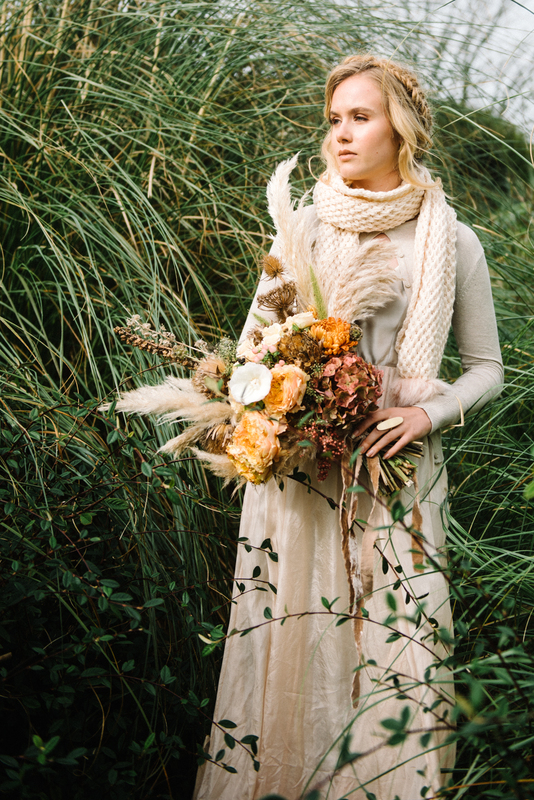 Often in the early evening as I walk my dog I stop to pick lovely seed heads, grasses and berries. 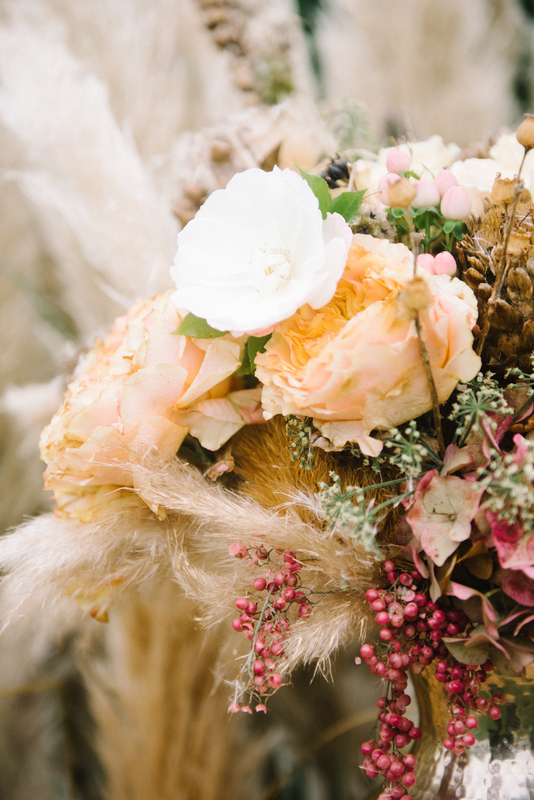 Before there is even a hint of spring bulbs emerging from the frosty ground these vestiges of last summer have their own beauty. 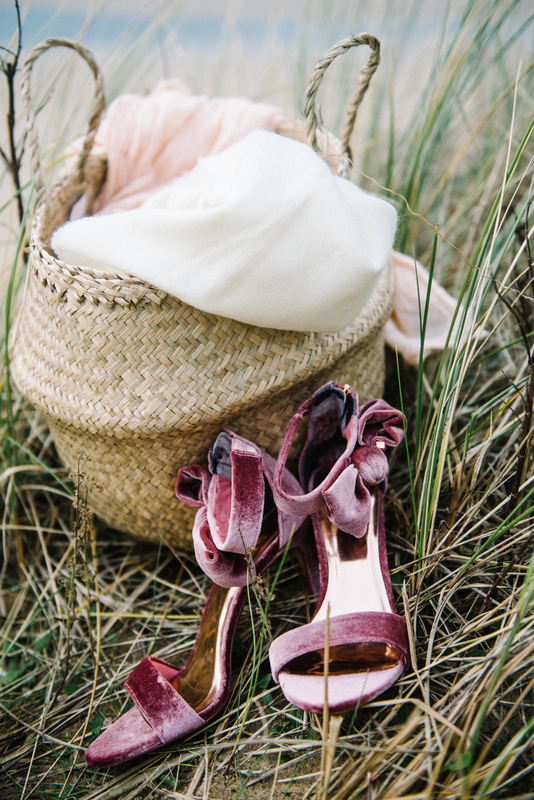 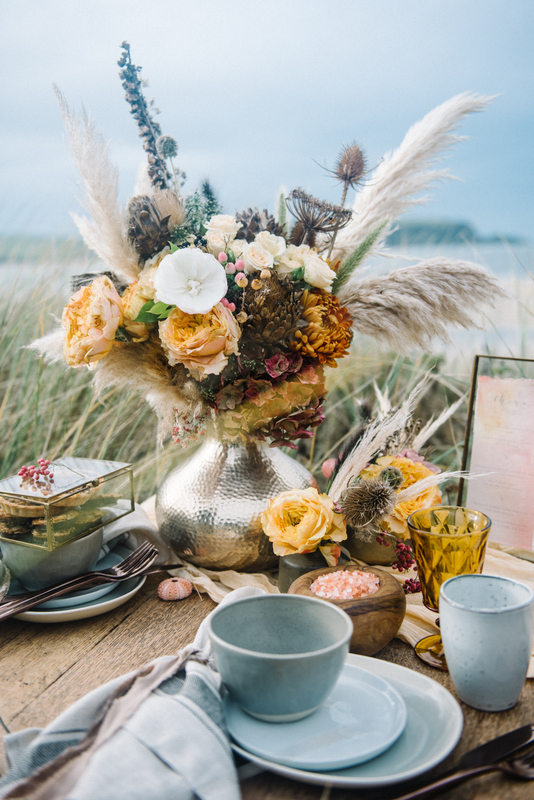 I foraged most of the items to create the floral elements of the styling for this shoot. 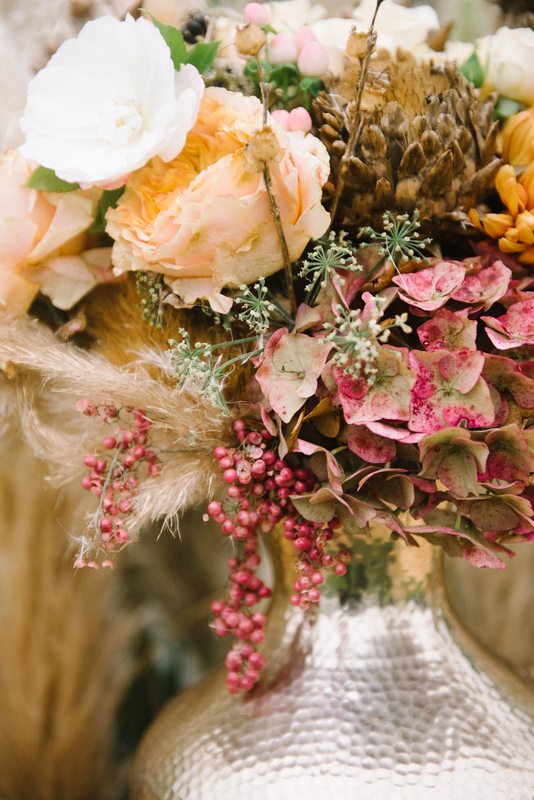 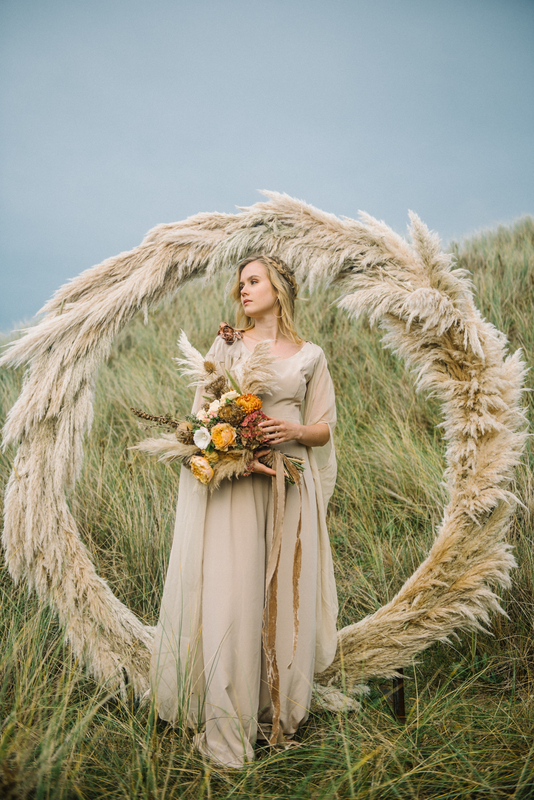 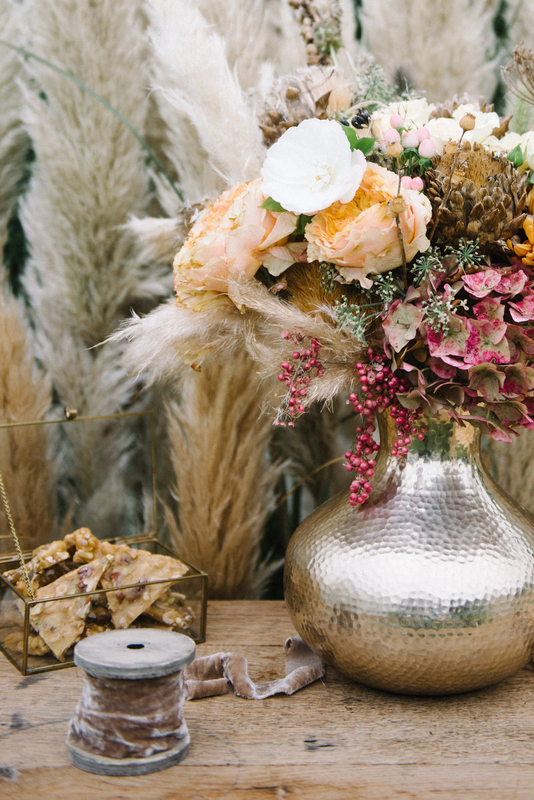 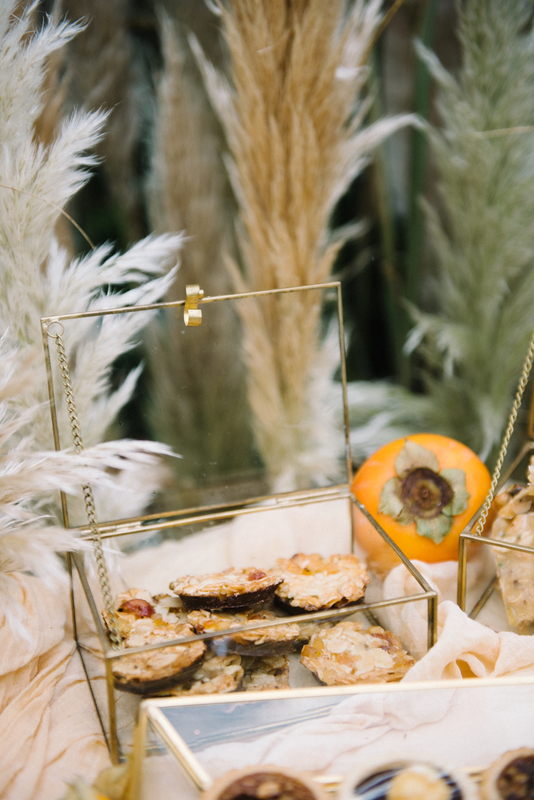 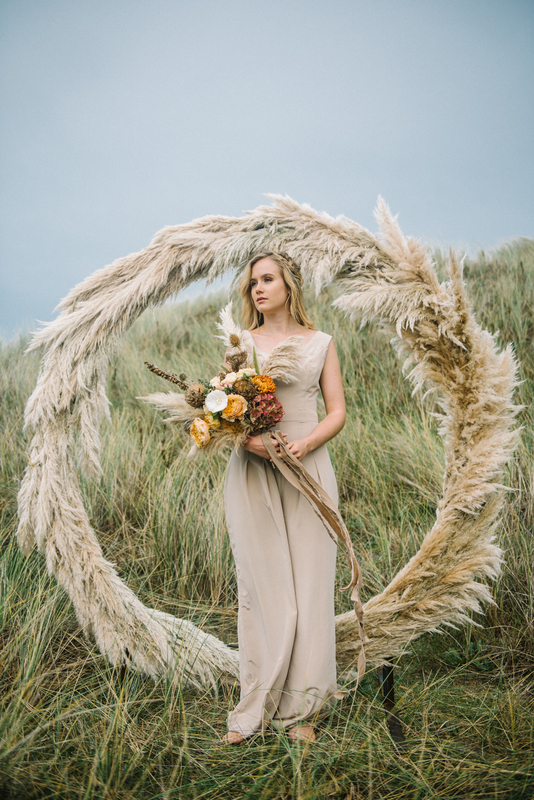 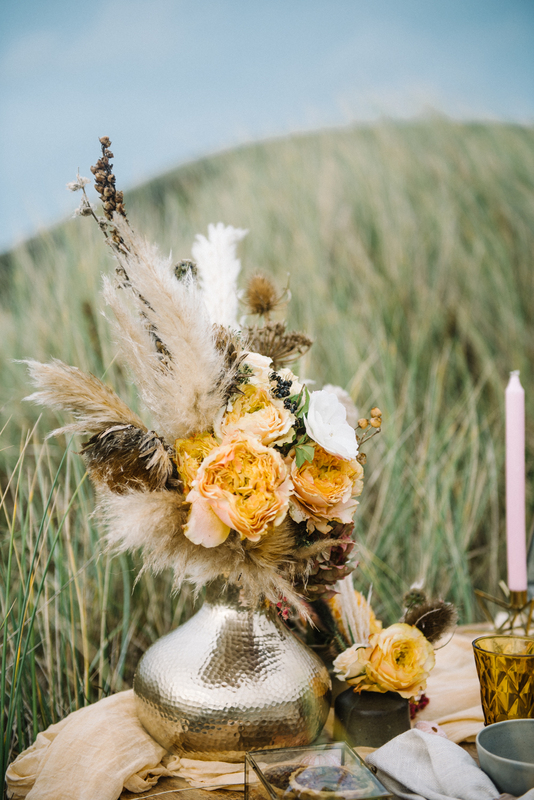 There is a bouquet with warm peachy yellow roses alongside seed heads and grasses, dried artichoke hearts and of course as as I am a pampas addict I also really love the bouquet made purely of pampas grass, so simple but so beautiful! When I design an event with a couple, we think about how we can create a beautiful guest experience, and this always includes what food and drinks to serve. 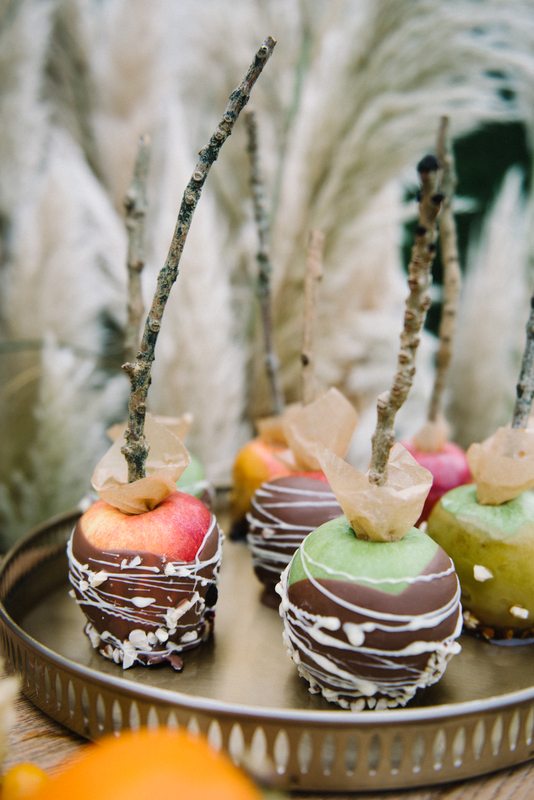 When you are thinking about planning your wedding celebration think about using seasonal goodies, to delight and surprise your guests! 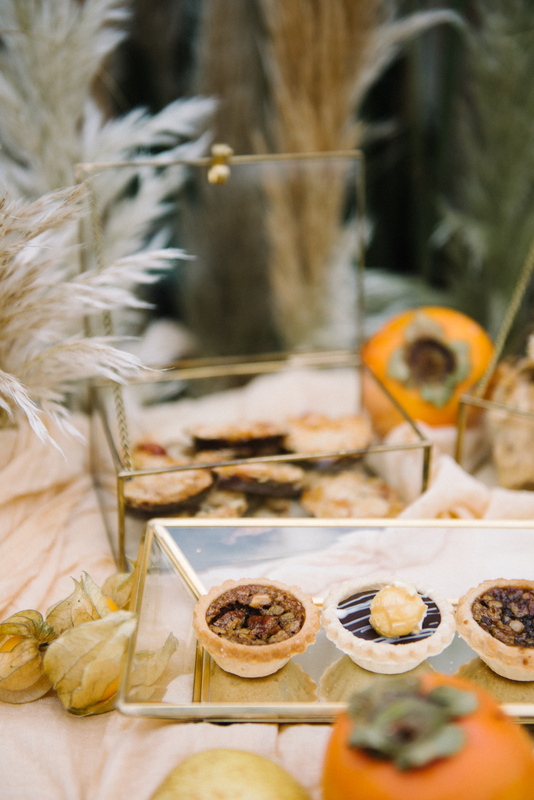 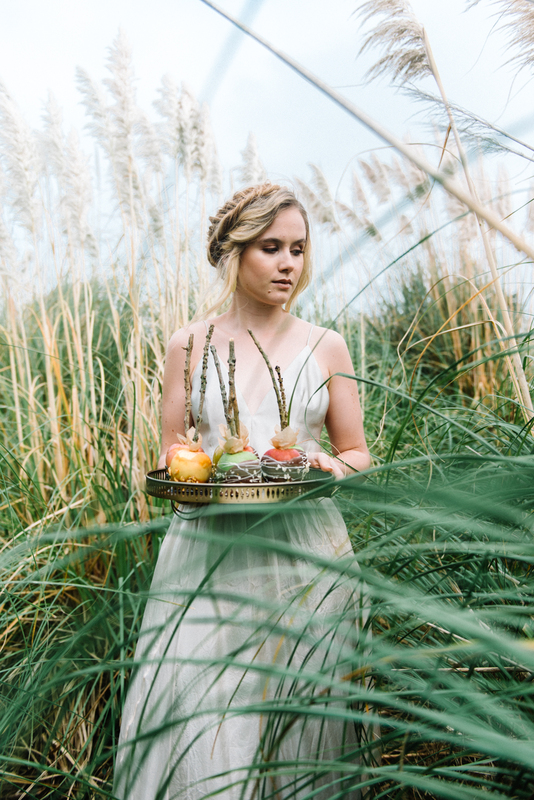 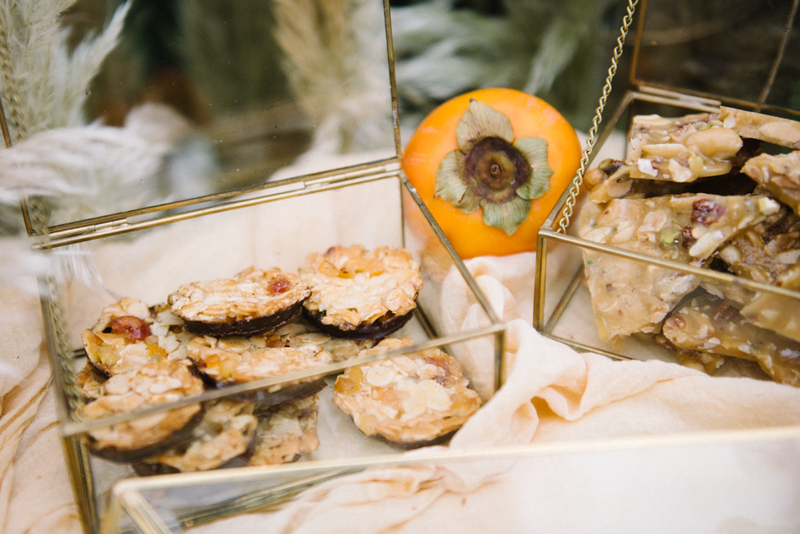 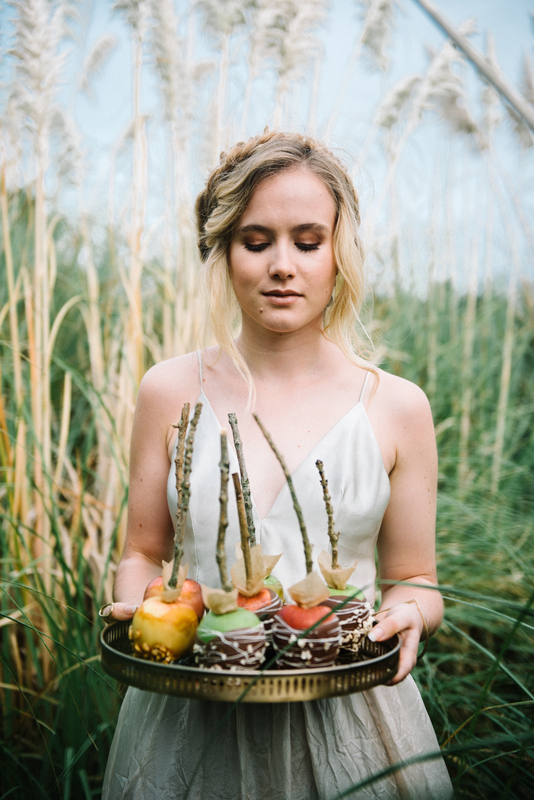 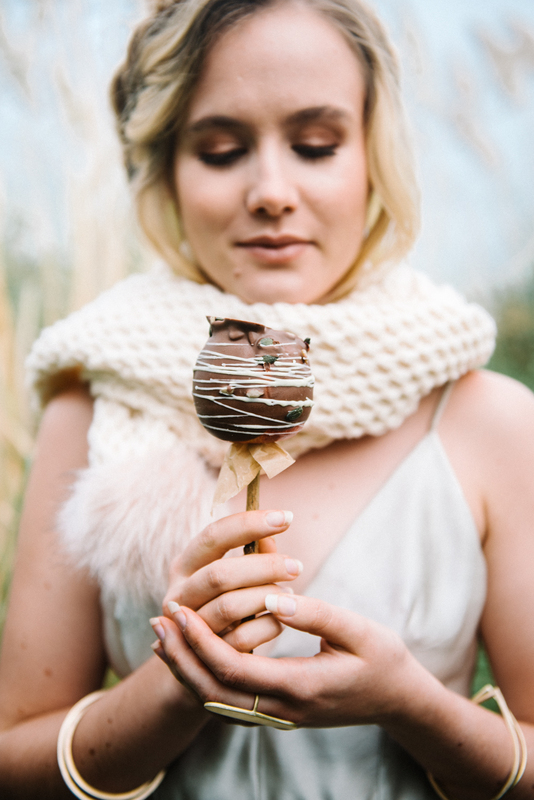 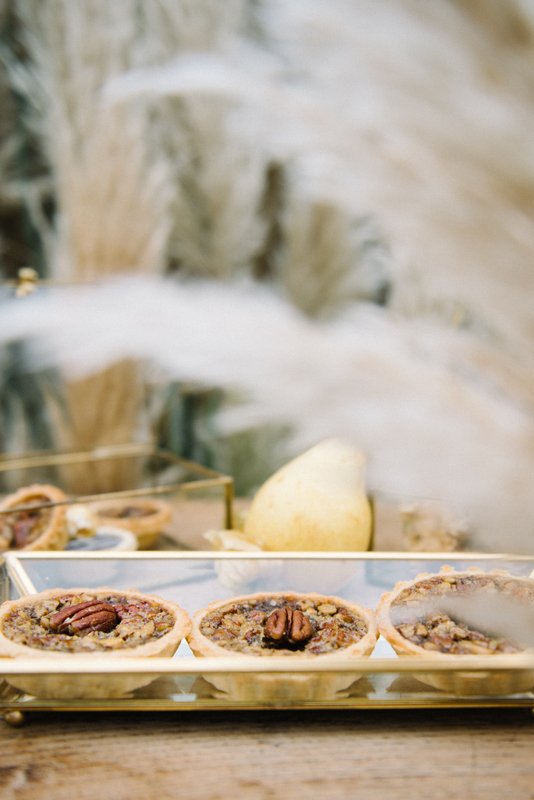 Hayley from Dolly Bird Bakes brought the tastes of the winter seasons to our inspirational shoot. 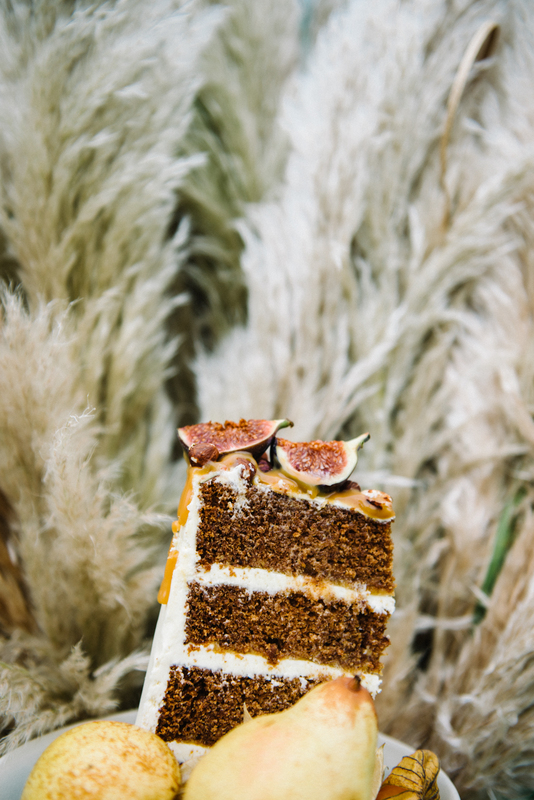 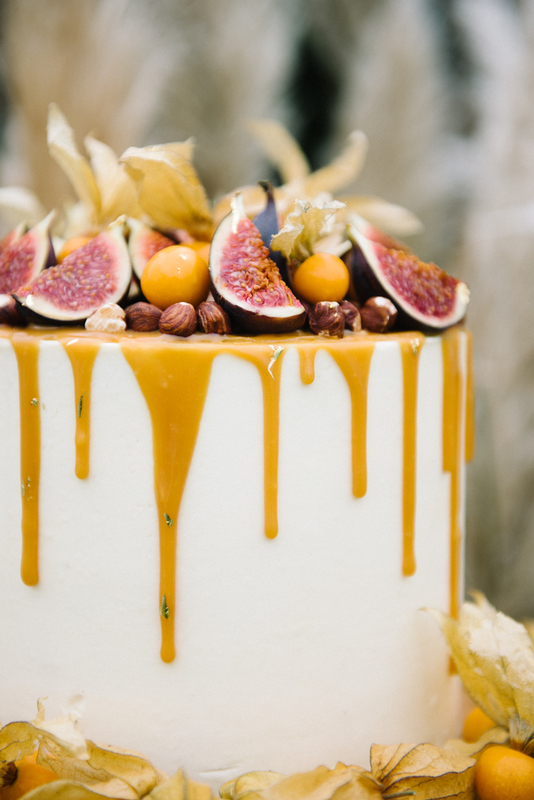 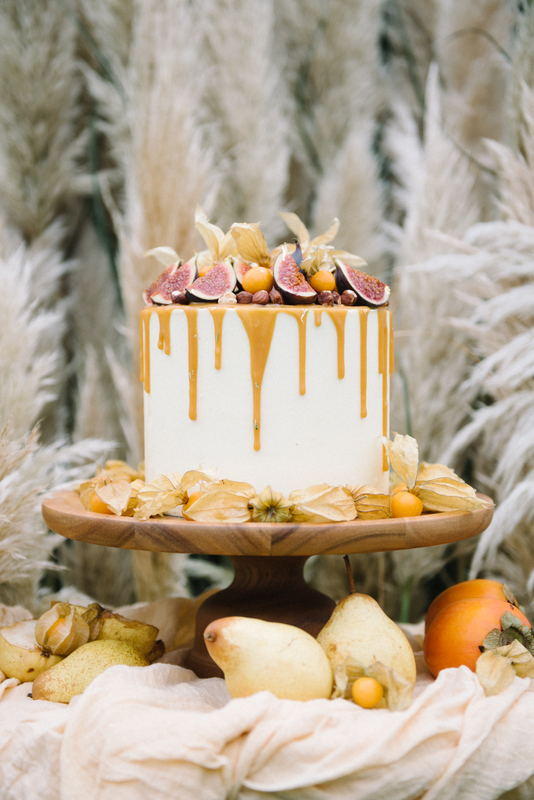 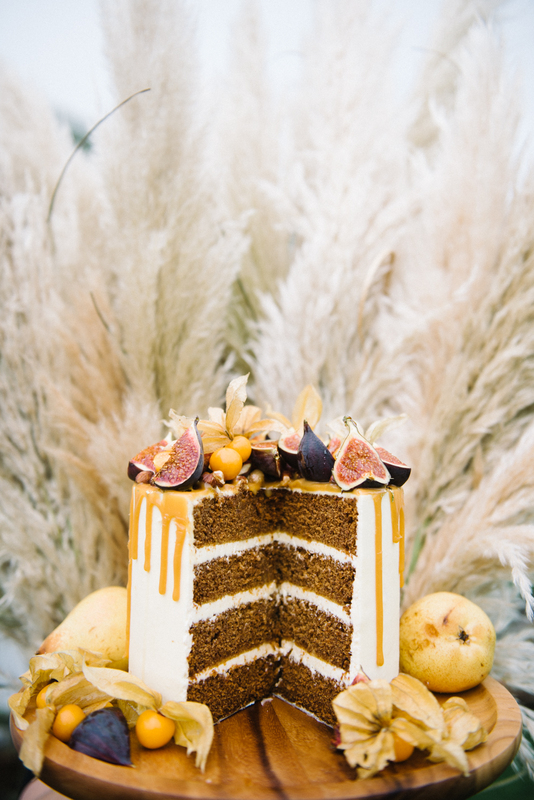 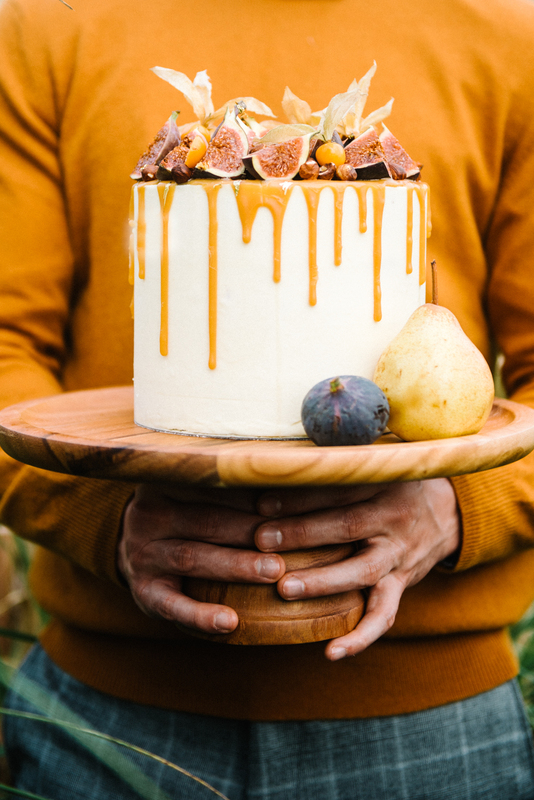 She created beautiful toffeenut brittle, yummy little pecan pies, nutty chocolate Florentines and the beautiful wedding cake was a sweet sticky toffee sponge, with caramel buttercream and a salted caramel sauce. 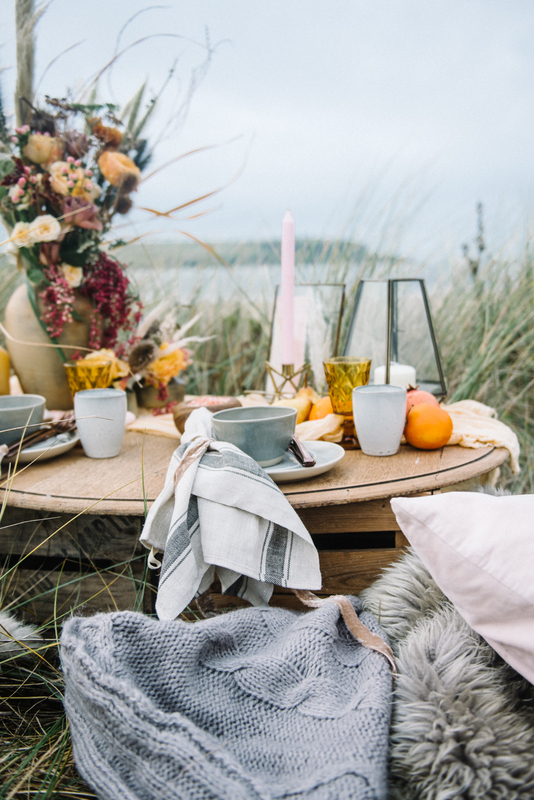 You couldn’t get more Hygge than that! 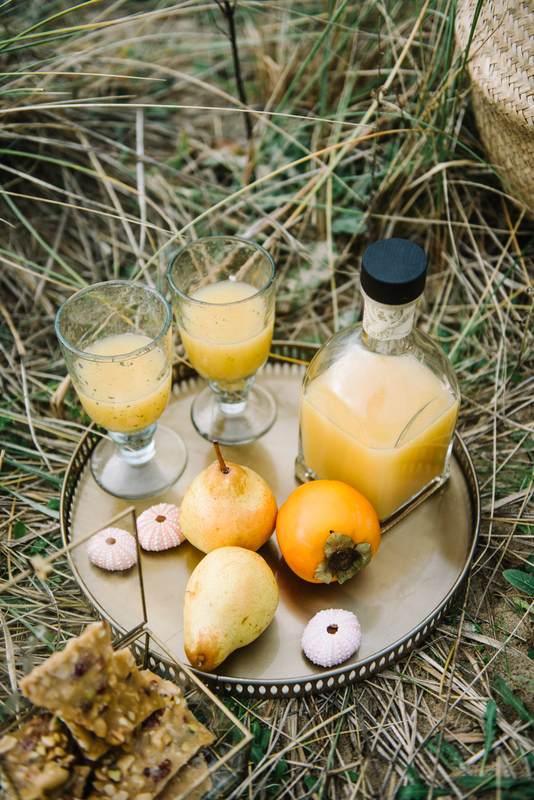 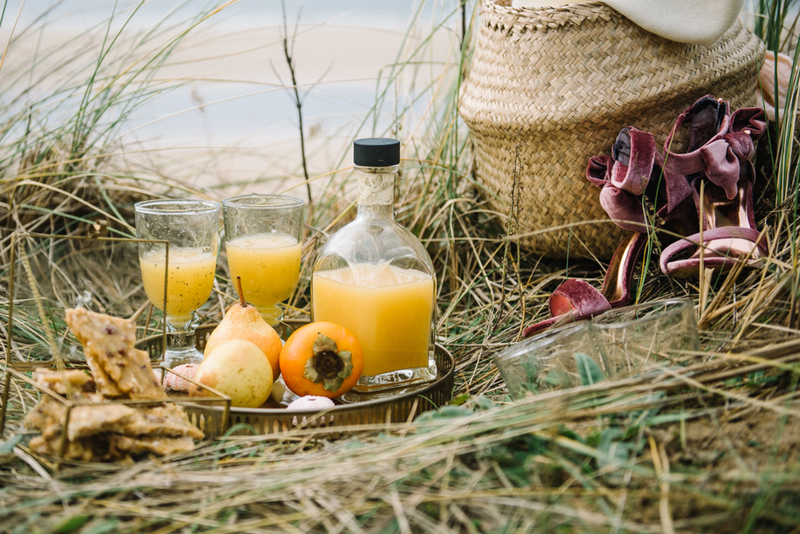 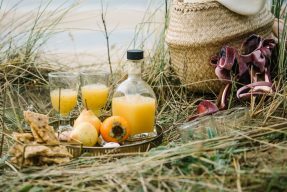 And for drinks, how about serving a warm spiced buttered cider, ( or an warm spiced apple juice for the non drinkers ) to warm your guests after your wedding ceremony? 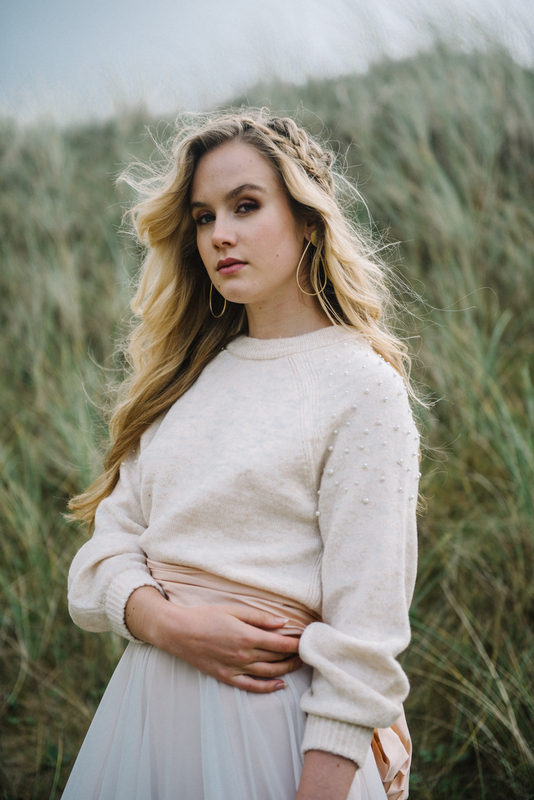 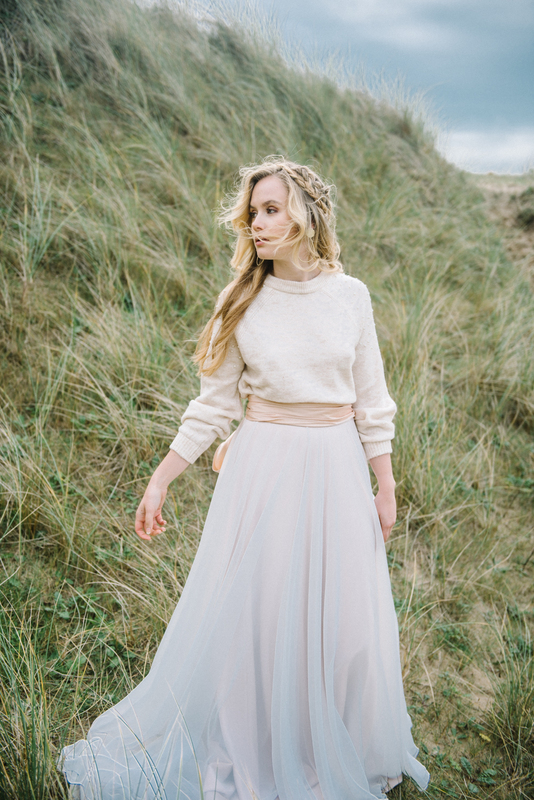 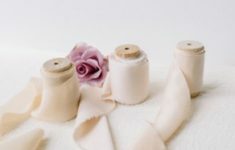 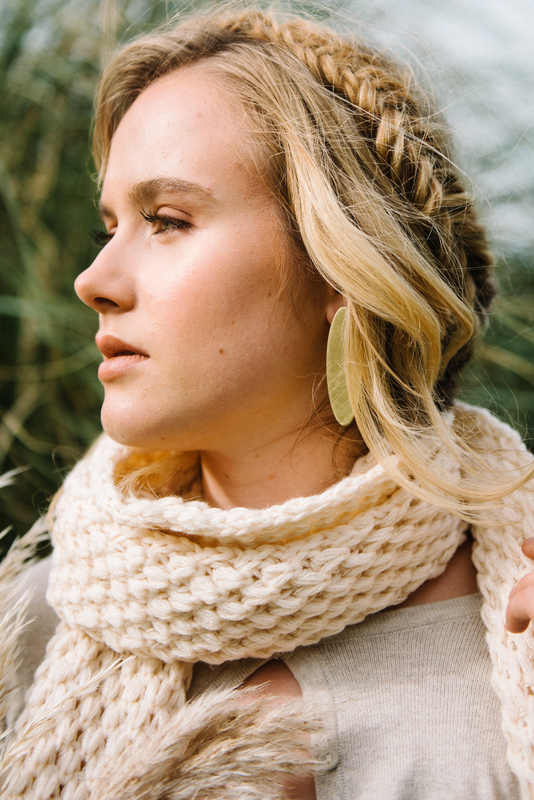 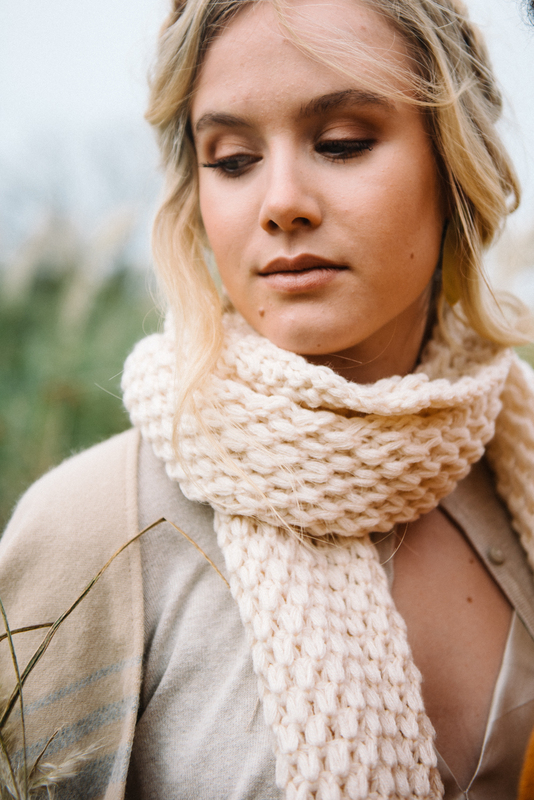 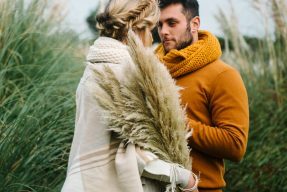 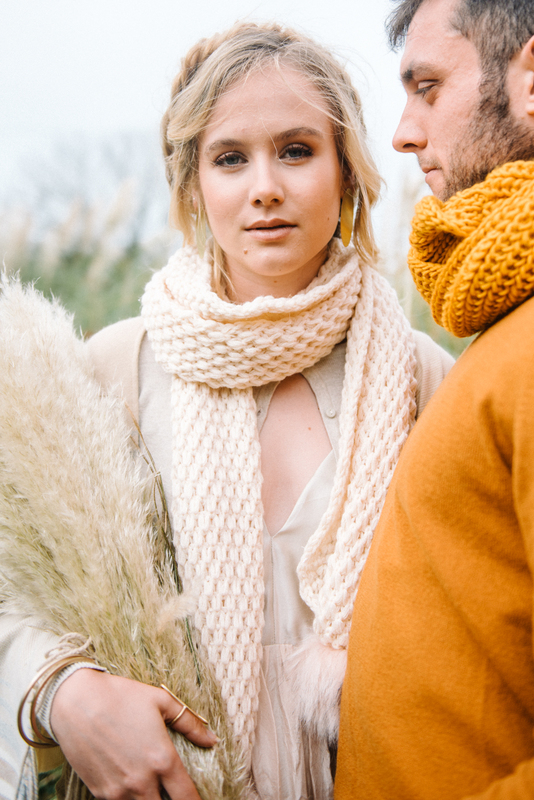 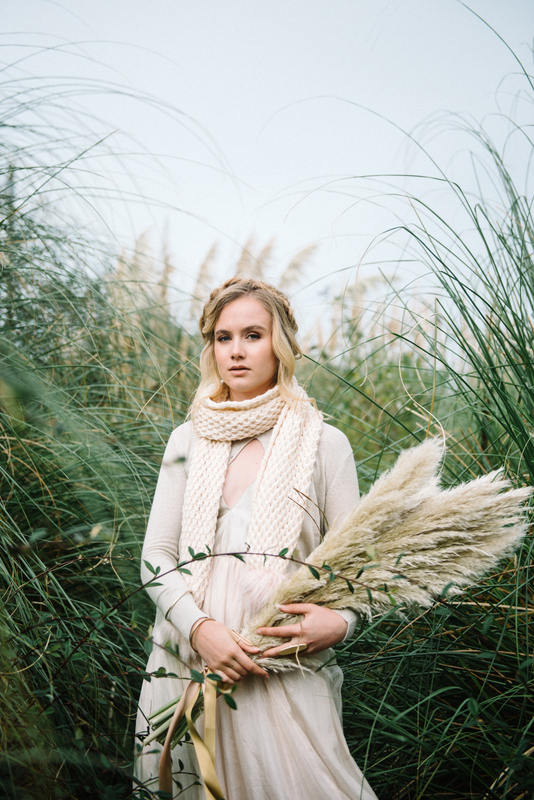 The outfits you choose for your winter wedding can also reflect the season, how about layering up your bridal separated with some chunky knitwear and even a scarf for the colder parts of your wedding day? 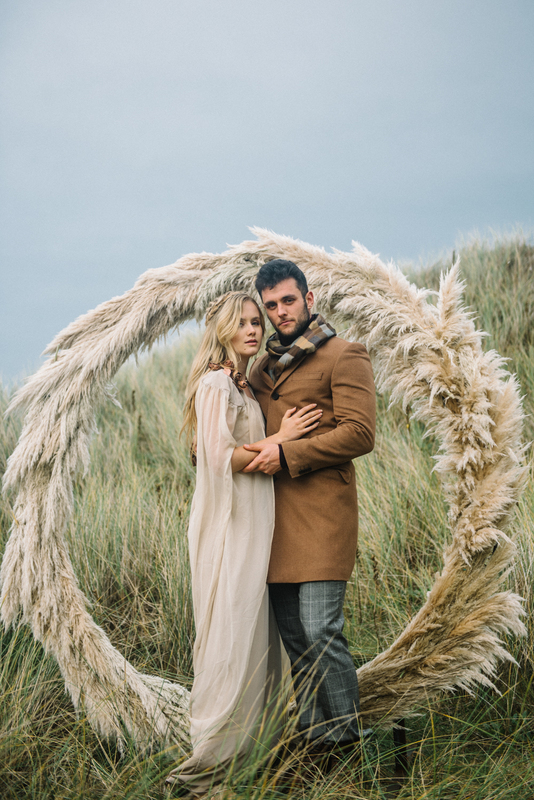 Grooms don’t have to stick to the traditional suit but can cosy up in some winter woollies and a beautiful dress coat! 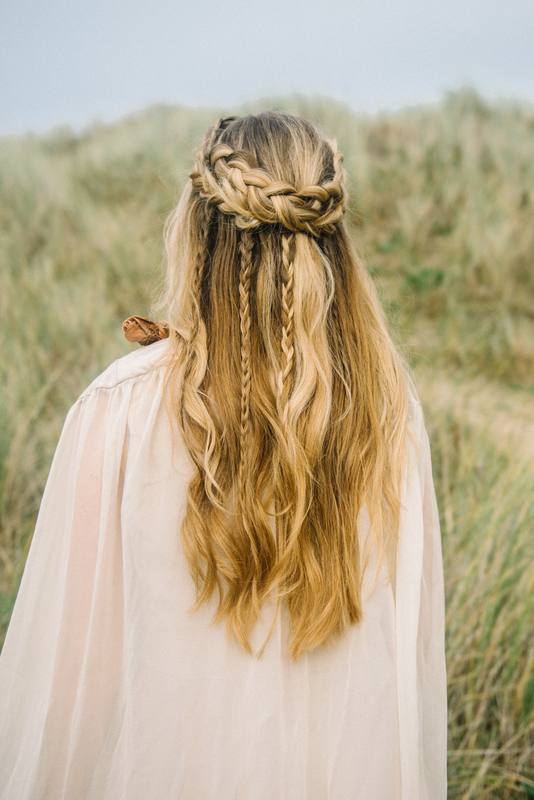 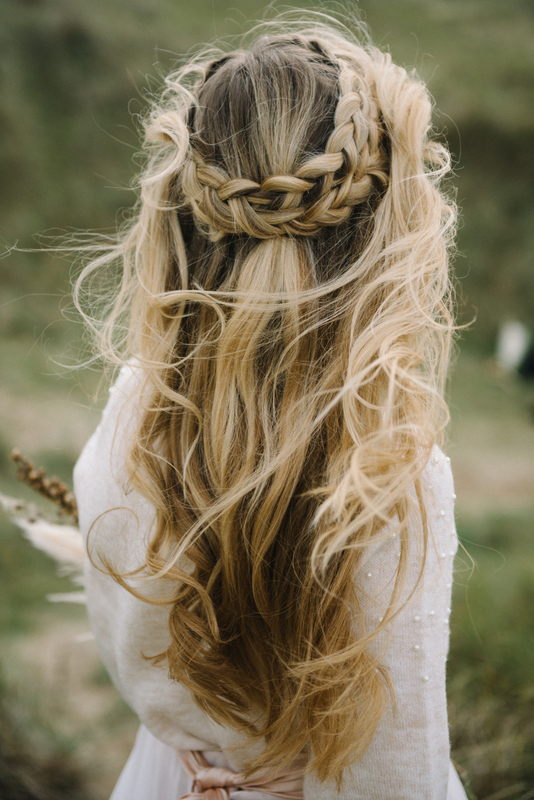 Ione, our fabulous hair and makeup artist created two beautiful halo plats for Kendal, one with her hair all up, and one half up half down do, both of which really suited the laid back natural look.